If you have difficulty hearing alarms and bells then a telecare pager or flashing light / beacon may be an appropriate alternative means of notifying you of your alarm, door bell or telephone. 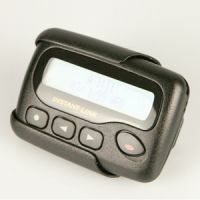 A flashing unit or pager may be required if you have difficulty hearing alarms. 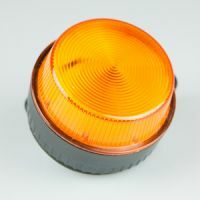 Flashing beacons may indicate which alarm has been triggered by illuminating small additional lights on the base of the unit. These indicate, for example, whether it is your fire alarm going off, the phone or door bell ringing or if a telecare sensor has been activated. 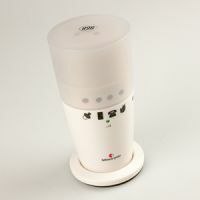 Alternatively a red flashing beacon could alert you to your telecare alarm and a blue flashing beacon to your door bell. Pagers can alert you that one of your telecare sensors has triggered the alarm by vibrating. You then look at the pager which has a small display which will name the sensor which has been triggered. For example, the pager may be able to alert you if your fire alarm has gone off, if your phone or door bell rings or your personal trigger has been activated. 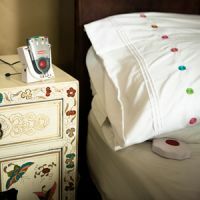 Some pagers can be linked to vibrating pillow alert pads to enable you to be alerted whilst sleeping.